Neighbors Call Police On Blac Chyna For NOT Being Neighborly! 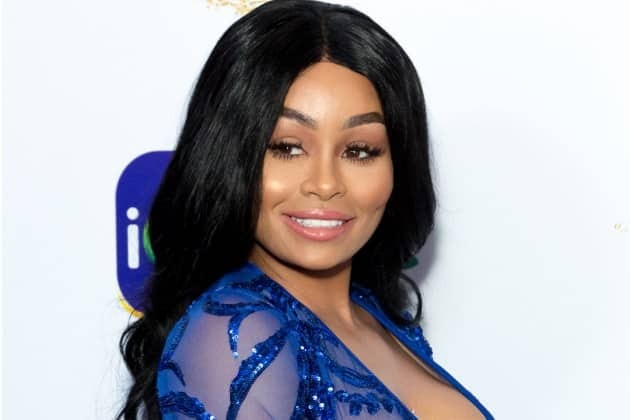 According to fyintertainment, the police paid Blac Chyna a visit on Monday. Officers were dispatched to Chyna’s home after neighbors made a complaint about the 29-year-old star’s not very neighborly behavior. It was reported that neighbors were not feeling the numerous cars parked outside the reality star’s home, along with a constant stream of people and noise.. Paparazzi captured Chyna and another woman engaged in what looked to be a heated conversation. Previous articleEvelyn Lozada and Carl Crawford Broke Up? star’s lifestyle/visitors disrupting their street. I don’t blame them. She’s living better now than in her entire life and she doesn’t understand that the neighbors don’t dgaf about her celebrity status. Why she gotta have grand central station operating out of her house anyway! She got a family to raise! Agreed. Bringing property values down with her foolishness. This overrated thot and her ghetto antics. I can just picture her and her friends screaming at the top of their lungs when the person they’re speakin to is only 2 ft away. Like somebody said above me: there goes the neighborhood.